The WealthiHer Network, a group of change agents from the world of finance, who have come together to drive positive change, championing female investors, entrepreneurs and clients and celebrating the diversity of women’s wealth launches on International Women’s Day. It includes some of the world’s biggest banks and insurers, collaborating to make the financial world more female focused. Despite predictions that by 2025 over 60 per cent of the UK’s wealth will be held by women, the financial industries remain dominated by men. The WealthiHer Network aims to change this. Research, carried out by the world’s leading marketing research and consulting company Kantar, commissioned by the WealthiHer Network and released today, highlights the different attitudes to wealth between men and women. Women (35 per cent) are over a third less likely than men (48 per cent) to set financial wealth as their main goal. One-in-ten women say they would need at least £5 million to feel wealthy. 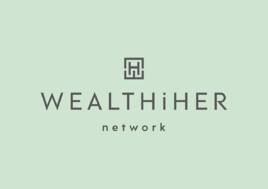 The WealthiHer Network founding partners include: Barclays Private Bank; Brewin Dolphin; HSBC Private Bank; Investec Private Bank; J.P. Morgan; Brown Advisory; C5 Capital; Chubb; Close Brothers; and Julius Baer. Co-Founder Tamara Gillan said: “For women, money is not just an end, but a means to an end. They see the opportunities wealth creates for independence, the people they care about, the next generation, and for the benefit of everyone.